Sundays Down Under Linky Party. Thanks so much for taking the time to join me today to share YOUR latest and greatest blog posts with bloggers from all over the world! Today I'm doing something a little different and sharing the story of Reshma, who in 2014 was allegedly the victim of and acid-attack. Her brother-in-law threw sulfuric acid on her face while she was visiting Northern India to take an exam. Even though she lost her left eye and her right eye is partially closed and infected, and she suffers from severe burns and disfigurement, she has made a video beauty tutorials to raise awareness of the staggering gender inequality in India. She also explains that it is just as easy to purchase lipstick and lip balm as it is to buy concentrated acid. Acid can be sold for as little as a dollar or 50 cents a litre. As Good Housekeeping said, watch this video and prepare to be moved, to be angered, and to take action. According to the BBC, there as many as 1,000 acid attacks in India every year, and almost 90% of these victims are women. Experts believe that women and girls are victims in 75-80% of cases. Of the female victims, about 30% are under 18. If you were moved to tears about this like I was I urge you to sign the Make Love Not Scars petition that seeks to ban the over-the-counter sale of acid. Make Love Not Scars (MLNS) is a non government organization dedicated to provide acid attack victims an opportunity to regain their life on their own terms through recovery, rehabilitation, and reintegration. 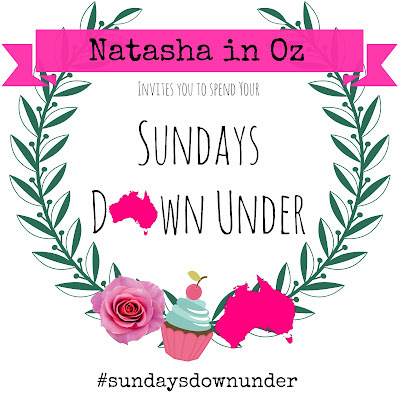 G'day from Oz and welcome to the weekly Sundays Down Under Linky Party.